Took down all Literature except for Poetry. 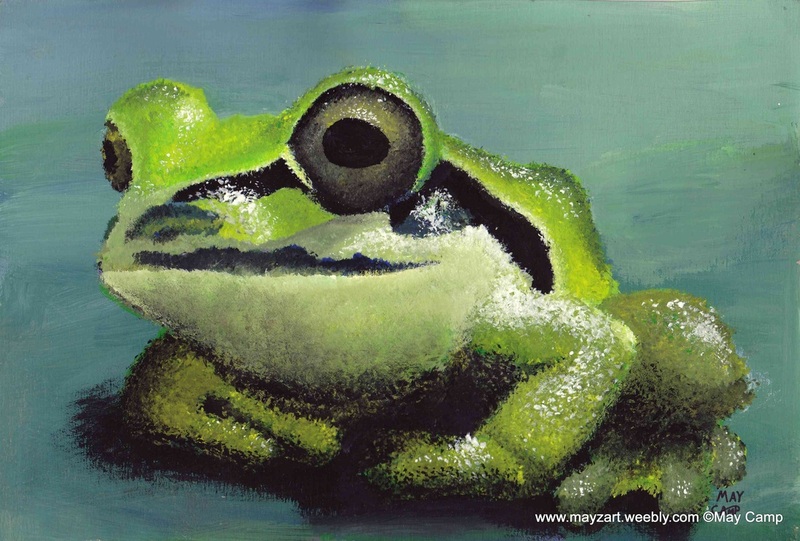 Description: Sitting green frog with large eyes and black stripe markings. Artist Comments: Background used a large brush, but the rest of it was painted with a very tiny brush, so it took a long time. This was my first time using tempera paint for art, so I wasn’t used to it and didn’t really use any water with it. I took many pictures of a frog we found outside while planting things, and then I decided I wanted to use it as a reference to practice painting. I've added Digitally Edited Photography and Art folders to my Portfolio. I've added a new Android Application to the Google Play store! 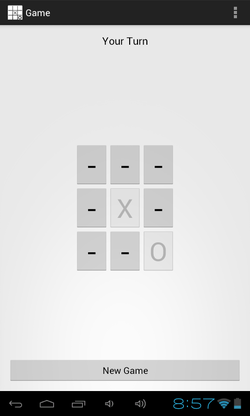 It is a simple Tic Tac Toe game against the computer. This is my very first Android App, I hope you enjoy it! 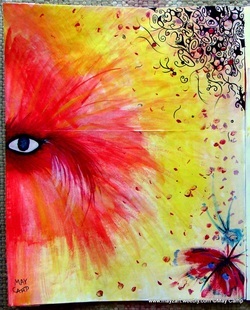 Added new art to Art Gallery 2012! Or click on the image to go to its description page. I actually did this in the summer of 2012, so this is a little of a late update since I never managed to get a picture of it until now. There are a few web pages that I'm going to be deleting because they are no longer useful. You cannot find these pages on the menu since they are hidden, but they mostly consist of the old description pages and very old comment pages. I'm not going to delete them for a week or maybe a month, but I have put warnings on them in case anyone is really concerned about looking at them, or finds them in a google search. Individual art pages for 2011 and 2012 are updated, so now ALL of my Art has individual art pages with dates, how much time it took to complete, a description of the page (for search engines), and artist's comments! I still have to update previous and next buttons, and update links to individual art pages, so that doesn't work yet. This does not include digital art or photography, I still have to do digital art, and I'm not sure I'll make individual art pages for photography, but we'll see. I also need to update the "see more art" sections of each art page, but I might wait until I get individual art for digital art updated. Added individual art pages for the 2010 Art Gallery. I've finished adding individual art pages for Art Class Gallery 2009-10. I have added another artwork to the 2013 Art Gallery! Click on the picture or here to go to its description page! This page is dedicated to posting any updates made on the site so that people can see what had changed since they last came. Click here to see older updates!